PHILIP DAVID GLIKMAN taught KRAV MAGA for more than 15 years in France, and continues to be a leader of KRAV MAGA in the world. THIERRY CIMKAUSKAS (Paris, France), who initiated and trained PHILIP DAVID GLIKMAN to be an instructor. PHILIPPE KADDOUCH (Genève, Switzerland), who assisted PHILIP DAVID GLIKMAN in obtaining his first Instructor diploma and many other ranks. EYAL YANILOV (Switzerland, France and England), who taught specialized courses and Instructor Renewal Trainings to PHILIP DAVID GLIKMAN. GABI NOAH (France and Israel), who participated in many Instructors traineeships and grades with PHILIP DAVID GLIKMAN. GABI SHAI (Israel), who assisted PHILIP DAVID GLIKMAN in obtaining his degrees, OKM trainings and courses with Parisians students. PHILIP DAVID GLIKMAN is an “Expert” KRAV MAGA Instructor certiﬁed by the Operative Israeli System and by the Academic College at Wingate in Israel. PHILIP DAVID GLIKMAN had a school in Paris with over 450 students and 8 assistants, where he taught law enforcement personnel, military units and civilian men, women, teenagers and children. As the first in France to create and administer a course to teach self-defense to women, PHILIP DAVID GLIKMAN has been featured in many reports on various national TV channels for his specialized work with women. 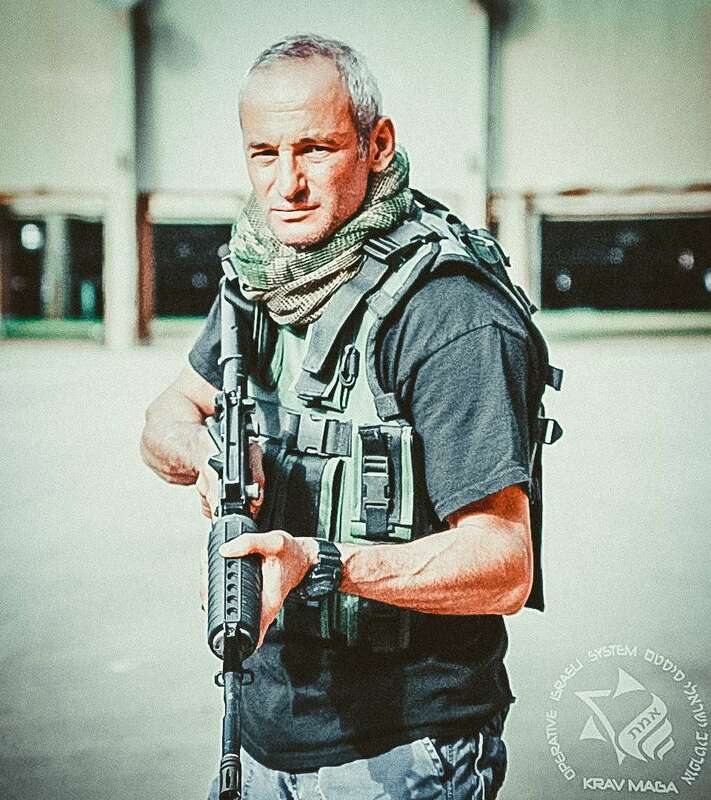 PHILIP DAVID GLIKMAN has been in charge of the International Development OIS Emeth KRAV MAGA System and the training of future instructors since September 2014, particularly in Miami, Florida in the United States of America. He is member of the prestigious French golf course St Nom la Bretèche in France , and also a golfplayer 2hcp , he trained during 2 years 2 pro Golfers , and several amateurs. He built a training to combine Golf & Krav Maga with mental training and how to perform under the pressure during the tournament !! They greatly increased their power, their aggressiveness and determination on the course and during the tournament.